Panda presents GeneticBros. This Russian producer just signed exclusively to Futurebound's Viper Recordings and has been making waves on the Drum N Bass scene ever since. Starting his music career as a guitar player in various rock bands, GeneticBros drew influence from System of a Down, Red Hot Chili Peppers and Queen and classic electronic icons such as Fatboy Slim, JXL, Chemical Brothers and The Prodigy. With airplay and support from the likes of Crissy Criss, Mutated Forms, Netsky, Black Sun Empire and Sigma, GeneticBros is now pushing his sound further and therefore we have him in the mix! 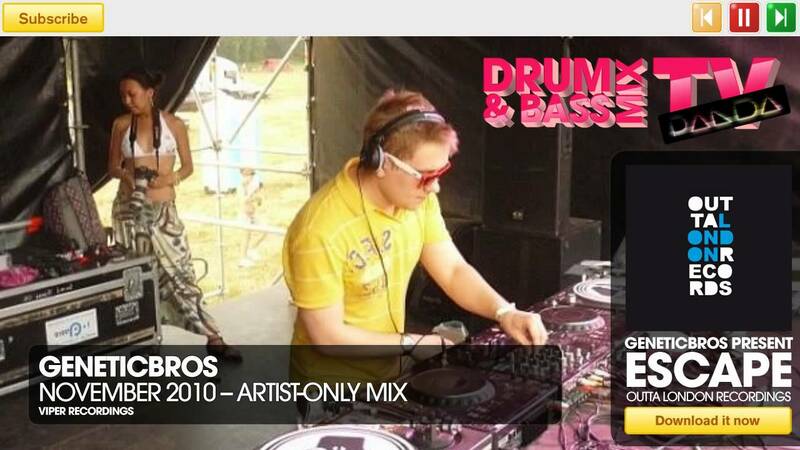 In this artist-only Drum and Bass mix, GeneticBros blends 13 of his latest exclusives in just over 40 minutes. Lock in and leave your appreciation for the fabulous GeneticBros in the comments!